Writing and publishing is a process. The publishing part is a mechanical step by step process. Writing is less mechanical. The creative elements in writing make for an environment without rules. It’s a free-for-all between writers of whatever works for them. Some authors need a clean and tidy desk, others work better in clutter. One writer may like to follow a planned outline, while another will take on the project by the seat of their pants. Some think that silence is golden. 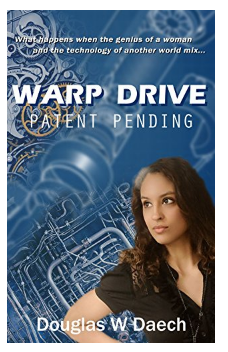 Some writers play heavy metal music as they work. The creative spark is kindled by different things in different people. Today, I’m sharing the writing process that works for me. The first trick I use to get rolling is to edit the last page and keep moving beyond that. This refreshes my memory on where I was at in the story and gets the gears in my brain turning. This puts me technically in the mindset to write. It may not do it for every writer but does for me. The second share I have is in regards to background music. Everyone has a favorites list, but my music list for writing is completely different. My regular list of favorites do nothing to ignite and propel my writing. I have a particular list of songs that I play at a low volume whenever I write. Some music smoothly falls into the background of what I write, as if it were an audio track to the movie playing in my mind. I discovered this first with the music of Victor Stellar. Luckily, free streaming downloads are available so you can listen as you write. 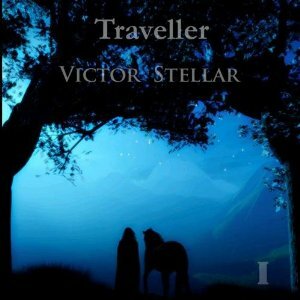 You can check them out at https://app.famemusic.com/victor-stellar. I have found a variety of moods and tempos to propel my writing. His songs seem to fit magically into whatever I am writing. I’m still confused at how they meld with whatever I’m penning, but I’m glad that happens. Another artist that puts me into the writing zone is Gabriel’s Circus. You can find them at the musical my page site, https://myspace.com/gabrielscircus/music/albums. I first discovered the artist sitting next to me in my art class at community college. At the time he played guitar in a rock band around Detroit Michigan. As the worlds we lived in changed we drifted apart, we lost contact. Thirty years later I stumbled back onto him. Ray Kurtz continues to play in southern Michigan with Nikki Holland. Between his hard rock years, and his current band, Mr. Kurtz released an album of easy listening jazz. I often play and write listening to his music. What works like magic for one person may not work at all for another. Who knows what will put your brain into the writing zone? What I offer you in this blog is what works for me. I’m giving you a glimpse of my creative process. I hope you listen to some of the music and write.